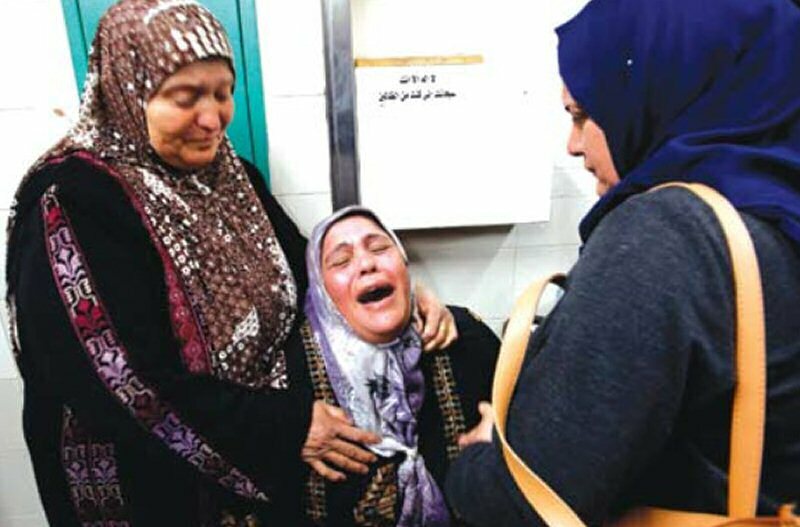 Israeli forces continued with systematic crimes in the occupied Palestinian territory (oPt), for the week of 07 – 14 March, 2018. Israeli forces continued to use excessive force against peaceful protests in the West Bank and Gaza Strip, while two Palestinian civilians were killed in Nablus and Hebron. 28 Palestinian civilians, including 5 children and a female university student, were wounded in the West Bank. In the same context, on 09 March 2018, Israeli settlers from “Ma’oun” settlement attacked al-Tawani Kherbeh, east of Yata in southern Hebron. As a result, the windows of a vehicle belonging to Gom’ah al-Rab’ie were broken. On the same day, a group of settlers from “Yitsihar” settlement attacked Madma village, south of Nablus. On the same day, a group of settlers from “Emmanuel” settlement threw stones at the Palestinian vehicles traveling on Qana Valley Road, northwest of Salfit. As a result, a number of civilians were wounded and windows of a bus on a children’s trip were broken.